My girlfriend and I are planing a camping / fishing trip to Wasaga Beach next summer. We'll have a 21 foot camping trailer and a 20 foot fishing boat (the boat is attached to the camping trailer). Both use ball hitches. I have a F-150 Truck. It's perfectly legal here in Quebec but I'm unsure about the laws in Ontario about towing dual trailers. Since I'm french speaking I'm unsure where to find the official rules (a little language barrier here). Do you know anywhere ? What fish species can be caught in the bay in front of wasaga beach late july / early august? I have downriggers so I can fish deep if needed. Any tips or gerenal areas that could be productive? How do the fish behave at that time of the year in that area? Motor homes, trucks, pickup trucks and truck campers are legally permitted to tow two trailers or a trailer and a motor vehicle behind a trailer. However, a three vehicle combination that is swaying excessively, is unstable or has reduced handling capabilities is subject to action by the police as an unsafe combination of vehicles under the Highway Traffic Act. If you are chanceux, you might get rainbow or chinook salmon downrigging in deep water north of Wasaga Beach or other closeby areas. If you go north of wasage beach up towards Christian Island there are decent salmon to be had in July. Its a bit of a long run though. Thanks, yes 30km is a little long but I do that often where I fish. I imagine I would do that only on really fair weather days because of the size of Gorgian Bay however. The waves must be really big on windy days. Regarding Raindows and chinooks, how deep do they usually stay at? Never fished those species but I'm gessing with flashers and either flies or spoons? Do they attack a swimbaits too? I'm guessing all of that would be good for salmon / steelhead / raiwbow in Gorgian Bay? Not as many guys run them on huron compared to lake ontairo but flasher fly has put a bunch of gb salmon in my boat. It' going to depend on watertemp and thermocline to find salmon . If you had a temp probe it would help allot eliminate any water over 55 degrees is my rule. Not surface temp but down temp . I prefer a little colder than that still. Then you need to find cold water and bait often fish 80-120 ft down depending on the probe results. I would say the fishing would be easier in August than July. They would be staging if conditions were right and easier to find and more likely to be in warmer water.closer to shore. Rainbows will be higher in the watercollumn .often find them in 65 degree water closer to the surface. If you want big kings you need to head south to lake Ontairo. Think green for flasher fly combos. And be carefull leaving the mouth I haven' been out in a few years but there are sandbars and they movie from year to year but usualy well marked.. I would also look at heading to meaford if you have a W or Nw wind you can find deeper water closer to shore and have less of a fetch for waves to pickup it's about a 45 min trailer. Wasaga is going to be a tough fish for anything in the summer time, especially salmon/trout. Rainbows are normally high in the water column (maybe 20-50ft max deep). Chinooks follow the temperatures and can be 50ft down to 180ft. Rainbows on spoons and stickbaits mostly. Chinook on spoons, flashers with cut bait, flies, J-plugs sometimes, stickbaits sometimes. Georgian bay can get big waves. There is almost 150 miles of open water from Wasaga Beach north to Manitoulin Island. Not much shelter on the big bay. In behind the islands you can sometimes get away from the wind, but getting there is the hard part. Some fish out of C'wood and Thornbury during the summer. I'm not sure how successfully though---worth a shot, I'd say. I believe you need a D lic to tow 2 trailers. Could someone verify this? No you do not need a D.
... You need an A restricted if your trailer exceeds 10,500 lbs in Ontario. Quebec is only 10,000lbs and then you need the A restricted and the literature I got with my enclosed trailer that is registered at 10,150 scared me good saying I required this at 10,000lbs. Almost thought I screwed myself ordering the wrong trailer, but thankfully Ontario reg is 10,500lbs. If you do have an A Restricted licence endorsement, that many need for their mega RV trailers, you CAN NOT double tow. It's nuts, but that's the law. Anyone with a G licence CAN double tow and that said, you may only tow double trailers with a "commercial" vehicle. So you can not do this with a car, van or SUV like a GMC suburban or similar. These are all "blue plated" vehicles and are not commercial. Any pick up truck is "black plated" and considered a commercial vehicle "truck" and why you have to also comply with the annual safety sticker nonsense on both truck and trailer if over 4500kg combined. They also apparently allow double tow behind motorhomes. I forget if my plate was even black on mine..
1. Motor homes. A truck while carrying a slide-in camper is a motor home. 2. Camper trailers and house trailers. A livestock trailer with living accommodations is not a house trailer. 3. Mobile homes or office trailers wider than 2.6 m (8.6") or longer than 11 m (36 ft). 4. Devices such as tar pots, portable welders, cement mixers, compressors, farm implements such as farm wagons, etc. Serious question...coming from Quebec, if this is your first time coming here to camp, is there any particular reason you chose wasaga beach? As a heads up, Wasaga is quiet literally a party town on the lake. Lots of young people partying hard, drinking etc etc. Its not exactly what I would consider a place for a nice relaxing fishing and camping vacation. In the summer time think "spring break"
Maybe thats what you and the girlfriend are into? but it sure doesnt seem like it? May i much more highly recommend a large campground like Killbear? 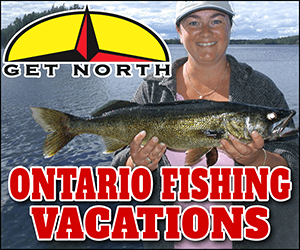 Absolutely stunning scenery, a fantastic beach, incredible fishing for everything from laketrout to pike bass and walleye and boating, in a much more laid back environment? I thought the trailer attached to the vehicle had to be a fifth wheel hitch to tow 2 trailers, no? If you end up coming to wasaga beach in the time frame you have mentioned and want the inside scoop on whats being caught as far as salmon/rainbow are concerned look up GT outdoors just outside of Wasaga Beach. Its a nice little tackle shop that will have everything you need to catch fish in the area. There is a crafty old Georgian Bay veteran named Pierre (from Quebec) working there that will have the inside scoop on whats being caught. Good luck! The salmon is not as good as it was 10 years ago, but its better than it was 3 years ago. I agree with the Wasaga beach comment. Its a beautiful beach, but very crowded and kinda spring break Daytona. Killbear Park and that area is good. Awenda Park is nice too, but no boat launch. Awenda is close to Penetanguishene (with a good launch) which puts you close to some great Severn Sound fishing and you can run around to the Salmon grounds around Beckwith/Christian and Giants Tomb as well (but its about 18 miles around). On that side you can find a place out of the wind too. That is correct fisherman.. I meant to add Recreational vehicles are exempt. Another dumb law.. I can add the extra weight of a camper slide in to my pick up truck and then my 24' enclosed trailer behind me doesn't need an annual sticker. Without the camper in the box I do ! That was the law about 15 years back and beyond Shayne, it now reads you can tow ball to ball..
10 years ago was unreal. I never seen so many large fish and groups. Last year we had 4 different runs. Right up to November. What really was sad, was the steelhead run last year. Cycles seem to be really screwed up. I can't help with info on towing but I do have another alternate suggestion for you if being in party central isn't too appealing. You might want to consider Prince Edward County. Amazing beaches like Sandbanks. Salmon fishing in Lake Ontario on the west side of the County. 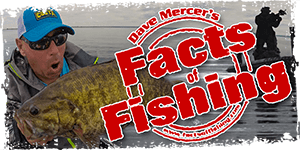 Walleye,pike and bass fishing in the Bay of Quinte ,Wellars Bay, East Lake ,West Lake surrounding the county. And for the days you feel like getting away from the water there are dozens of wineries to visit. Getting a site at Sandbanks Provincial Park might be difficult but there are many other private campgrounds in the area. Another possible plus for you is that there is a large number of Quebecers visiting this area and bilingual service is very common. Before moving to the Ottawa area we lived in Trenton and we still have a summer place in the county so if you need more info let me know and I'll help as much as I can. Hahaha, and at the end of the weekend all what you mentioned goes back home to Woodbridge. Sadly, it's a lot more then just Woodbridge that makes the drive these days.